We have a cracker on our hands. 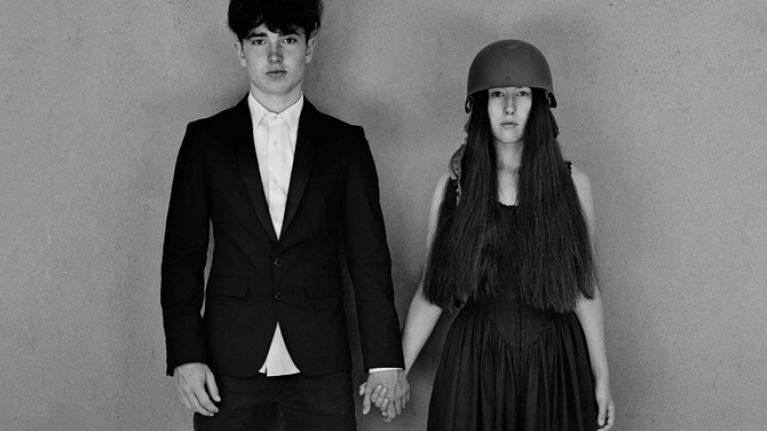 Songs of Experience is the 14th studio album released by U2 and can hold its rightful place amongst their greatest work. Whatever your opinion about the band, you cannot deny that they know how to produce great songs and this album is littered with them. The album opens up with the haunting ballad ‘Love Is All We Have Left’ which could easily be released as a Christmas song. This is very minimal, but so effective. In ‘Lights of Home’, a nod to Bono's recent health scare, Edge gets all Pink Floyd with the guitar towards the end of this track and it’s a taste of what’s to come as the band produce their best work in twenty years. ‘You’re The Best Thing About Me’ is one of the tracks we heard before the album release and it’s U2 with a great pop song. Catchy as hell and an inevitable ear-worm. In ‘Get Out Of Your Own Way’, U2 start getting political, but rather than pontificate about what needs to be done, they paint the picture for people to make up their own mind. ‘The slaves are looking for someone to lead them, the master is looking for someone to need him, the promised land is there for those who need it most'. It’s a fantastic song compete with a brilliant chorus and soaring vocals reminiscent of Beautiful Day and ably aided by superb harmonies from Edge. Kendrick Lamar guests on the politically heavy ‘American Soul’. Throbbing basslines and politics dominate the track and yet again another harmony from Edge. ‘Came here looking for American soul!’ sings Bono with a track you just know will do well in a live setting. It’s U2 at their loudest and best with a dirty ol' rock n roll song. The gear change is noticeable here with ‘Summer of Love’. A very laid-back toe-tapping tune which should be listened to sitting in a hammock with a nice cocktail in your hand. ‘Red Flag Day’ is a nod to their beginnings as a band. They sound like a brand new, acne-covered U2 here. It’s a song which would remind you of ‘Out of Control’ with its punky driven sound. However, this is an album of experience and just when you think it’s going to take off in a certain direction, it takes off like a reggae track, almost 10CC Dreadlock Holiday-like with its thundering bassline provided by the effervescent Adam Clayton. U2 are the masters of writing great tunes and ‘The Showman (Little More Better)’ can be confidently paraded alongside their greatest work. ‘The showman gives you front row to his heart….’sings Bono reminding us of his vulnerability, but this isn’t about Bono. Kicking off like a Buddy Holly track, it gathers momentum and before you know it, you're singing along to the ridiculously catchy chorus. ‘The Little Things That Give You Away’ is a tour de force and the album's standout track. A gorgeous soulful melody which reaches a glorious crescendo of all four members in unison doing what U2 do best. 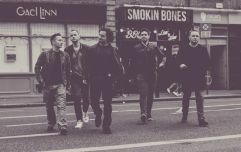 It’s an absolute belter of a tune and one which will be heralded as one of their greatest in the years ahead. ‘Landlady’ is another song full of melody and harmonies. A soulful treat from start to finish, it’s one of those U2 songs which just gets better every time you hear it. Just when you think you’ve heard the chorus, another one pops up and you then have to decide which one is your favourite. Another stomper is the pre-released ‘The Blackout’. Kicks off like a track from Achtung Baby and is peppered with the merciless bass strumming of Mr Clayton. It’s a bona fide U2 track designed to be played loud at a stadium near you. ‘Democracy is flat on its back’ roars Bono and that may be so, but I’m too busy jumping around pretending I’m in a mosh-pit to notice. The penultimate track is ‘Love Is Bigger Than Anything In Its Way’ another multi-layered beaut of a ballad. Sounds like a choir doing harmonies to Bono’s soaring vocals and yet another strong grower. Finally, ‘13’ and is an extension to ‘Song for Someone’ from the Songs of Innocence album. It’s a much slower paced version, but no less effective. This is truly a cracker of an album on first, second and third listens. Living with it for an extended spell will determine whether it hits the heights of a Joshua Tree, an Achtung Baby or the cruelly underrated Pop.